Located between Crestwood and LaGrange, you will find the beautiful small town known as Buckner. Buckner is the perfect place to live if you are looking for a place with gorgeous rolling hills and a little bit more seclusion. If you lived in Buckner your zip code would be 40010. In 2010, the Buckner population was 5,837. The median age of residents is 40.1 years old. In 2013, it was estimated that the median household income was $118,355 and the median house or condo value was $317,011 (CityData). 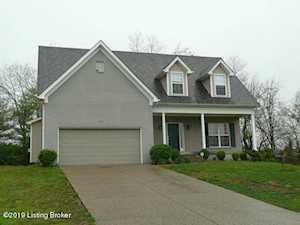 Click Interactive Map to view each home for sale in Buckner. There is a satellite view button in upper right. 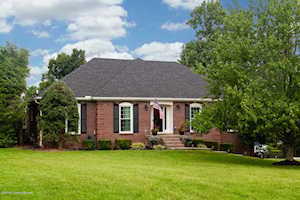 The Hollinden Team has provided a list of Buckner subdivisions with homes for sale. A few of the neighborhoods you will find in 40010 are Darby Pointe, Cedar Point, Grand Villa, and Heather Green. Homes in Darby Pointe range from $250,000 to $450,000. Typically, these homes have anywhere from 3-5 bedrooms, 2-4 bathrooms, and 1,700-2,900 square feet. Patio homes and homes in Cedar Point usually range from $140,000 to $200,000. There are usually around 2-4 bedrooms, 2 bathrooms, and 1,200 to 1,900 square feet. On average, homes in Grand Villa range from $330,000 to $370,000. These homes are likely to have 4-5 bedrooms, 3 bathrooms, and 3,000 to 4,200 square feet. The Heather Green neighborhood has homes ranging from $420,000 to $440,000. You will find anywhere from 4-6 bedrooms, 2-5 bathrooms, and 2,900 to 3,500 square feet. The closest Walmart to Buckner is about four miles away and is located at 6501 Veterans Memorial Pkwy, Crestwood, KY 40014. There is a Kroger around seven miles away located at 2034 KY-53, La Grange, KY 40031-9535. The Paddock Shops are around ten or eleven miles from Buckner. Saint Matthews Mall is around sixteen miles away. There are several boutiques and consignment shops in downtown La Grange that are close to Buckner. Some of the types of stores you’ll find in downtown LaGrange are consignment shops, wedding stores, antique shops, and clothing boutiques. There aren’t many restaurants in Buckner with the exception of a few including Cornerstone Grill and Frascellis Pizza. Cornerstone Grill offers a variety of options like hamburgers, sandwiches, steaks, and fish. Cornerstone Grill is located at 4773 Fox Run Road and is open seven days a week. Frascellis Pizza offers pizzas, gyros, pasta, calzones, strombolis, wraps, sandwiches, and so much more. Frascellis Pizza is located at 4310 W. Hwy 146 and is open Monday-Saturday. Buckner falls into the Oldham County School District. Oldham County School district is very popular amongst parents because it is one of the best school districts in Kentucky. The following schools are the home schools for Buckner residents: Buckner Elementary, Oldham County Middle School, and Old County High School. The Hollinden Team updates this search for Buckner homes on a daily basis from the Louisville MLS. We have many satisfied buyers with the Hollinden Team. If you would like to learn more or have any questions about any of these Buckner houses for sale, or others in zip code 40010, just click the "Request More Information" button on any property detail pages. The Hollinden Team can provide you with past sale information, comparables, disclosures, PVA assessment, and tax information – we would love to answer any real estate questions you have.